The summit of Masada sits 190 feet (59 m) above sea level and about 1500 feet (470 m) above the level of the Dead Sea. The mountain itself is 1950 feet (610 m) long, 650 feet (200 m) wide, 4250 feet (1330 m) in circumference, and encompasses 23 acres. The climb up the "Snake Path" is 900 feet (280 m) in elevation. From the west, the difference in height is 225 feet (70 m). Although Masada is not mentioned in the Bible by name, it is possible that this was David?s place of refuge during his flight from Saul and where he wrote some of his Psalms. If so, David was probably referring to Masada as the "stronghold" (1 Sam 22:4-5; 23:14; 24:22), using it to depict God as his fortress and rock of refuge (Ps 18:2, 31; 71:3; 144:2). 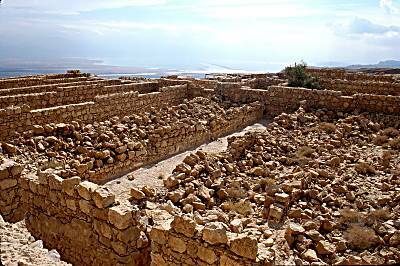 In A.D. 66, at the beginning of the Great Revolt against Rome, a group of zealots called Sicarii captured Masada from the Roman garrison stationed there. 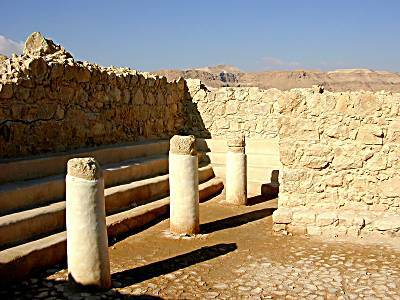 During the period of the revolt, Masada became a place of refuge for others fleeing Roman rule. The last of the refugees arrived at Masada in A.D. 70, after the destruction of the temple. They built a synagogue, public hall and ritual-baths. This group lived there for three years until A.D. 72 when units of the Roman army arrived to take Masada. The siege lasted several months during which the army built an earthen ramp up the western side of the mountain. 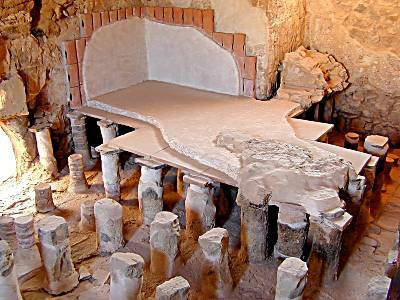 They used Jewish slaves to build the ramp so that the Jews on Masada would not roll rocks down the hill to kill them. When there was no hope of escape, the Jews on Masada chose to die rather than live as slaves under Rome. Nine hundred men, women and children committed mass suicide. Only a few women and children survived by hiding in covered cisterns. Before the suicide, they burned all the buildings on Masada except the storehouses to demonstrate to the Romans that they did not die because they had no food. 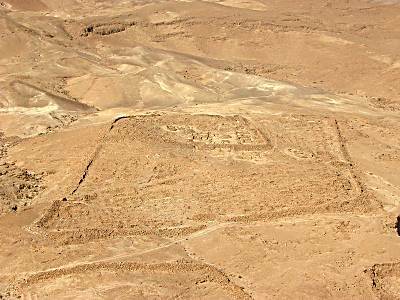 The mass suicide and ensuing destruction of the fortress occurred on the 15th day of Nisan in A.D. 73, the night before the Roman Tenth Legion took Masada. The valor of the Jewish zealots residing on Masada during the Roman siege is celebrated as the supreme example of self-sacrifice for the preservation of the nation of Israel. Today, when the recruits of the Israel Armored Corps take their oath of allegiance, they do so on Masada to remind each generation of the price their forefathers paid for their nation. 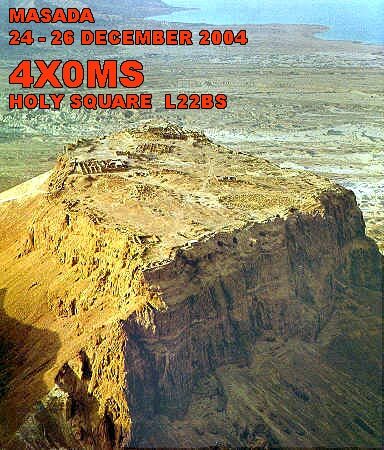 They cry: "Masada shall not fall again!" Fifteen long storerooms kept essential provisions for time of siege. Herod filled with them with food and weapons. Each storeroom held a different commodity. This was attested by different storage jars and inscriptions on jars in rooms. Wine bottles sent to Herod from Italy were found. This synagogue was found in the first season of Yadin?s excavations. No Second Temple period synagogues were known at the time. Many coins from the Jewish Revolt were found here. An ostracon was found on the floor with inscription, ?priestly tithe.? The back room served as a genizah. Outside the room a furnace would sent hot air under the floor. When water was placed on the floor, steam was created. Pipes were built into the walls to help to heat the room. A recent article suggests that this ramp was mostly natural and only the top 26 feet was added by the Romans. 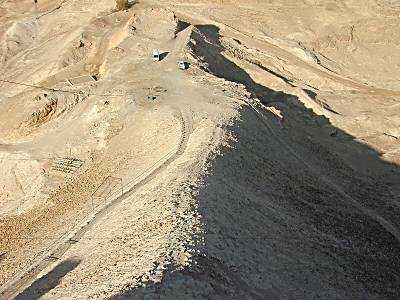 A solid wall was built surrounding Masada and connected the 8 Roman camps. It was 6 feet thick and 7 miles long and built to prevent escaping. An estimated 9000 soldiers plus support personnel and slaves conducted the siege.